Continuing to build the hype surrounding Astroworld, Travis Scott recently unleashed Drop 5 of his 28-piece merch collection, which is being rolled out over the course of nine days. Once again only available for 24 hours, the latest special range features the same amusement park theme of La Flame’s latest project, expressed through a host of haphazardly designed graphics and playful text. 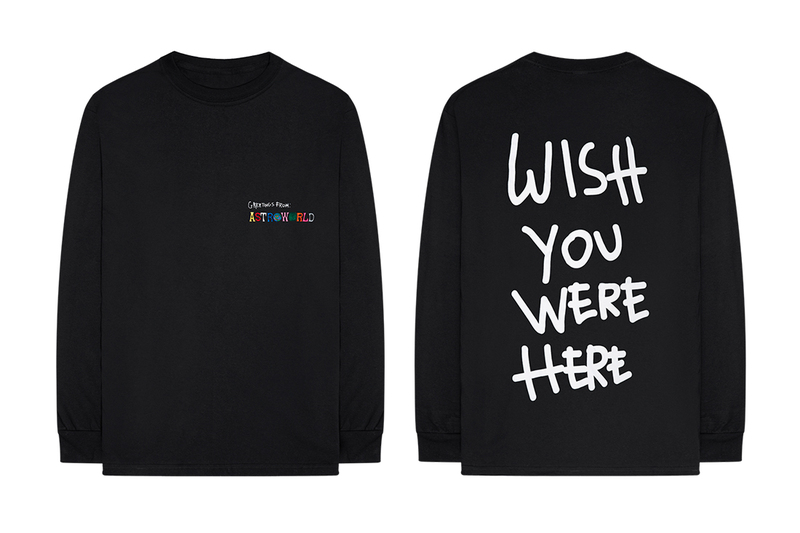 As a relatively smaller drop compared to the previous four releases, Drop 5 is comprised of the “Greetings From” long-sleeve T-shirt, Happy Face Cap, Astroworld Crate and physical releases of Astroworld. Additionally, each item is then accompanied by a digital version of the album and pre-sale ticket access to Travis’ upcoming tour. Check out the Astroworld Merch Collection Drop 5 above and head over to Travis Scott’s web shop to purchase the limited edition range for 24 hours only. In case you missed it, watch Travis Scott perform “Carousel” and “Sicko Mode” for the first time at Osheaga Festival in Montreal. Putin Appoints Steven Seagal As Russia's Special Envoy to the U.S.
A special representative promoting humanitarian ties between the nations. A new batch of CAMO goodies. Lil Wayne Releases New Single "Quasimodo"